Energy customers could end up paying more for gas and electricity in April under the new price cap than they did before a price cap was in place. A £117 increase to the energy price cap was announced today. It will apply from 1 April, allowing energy companies to raise the prices of their standard or default tariffs and affecting 11 million people. If energy companies raise their price to the maximum allowed under the cap, millions of customers could face bills as high, or even more expensive than before the price cap. Those who use a medium amount of gas and electricity from 1 April could pay £1,254 per year. Before the price cap, the Big Six energy firms charged between £1,196 and £1,257 per year for a dual-fuel medium user on their standard or default rates. So it’s more important than ever to make sure you’re on a good energy deal. At the moment, you could save £163 per year by switching from a tariff at the level of the price cap to the cheapest deal on the market. If firms raise their prices to the level of the new cap in April, you could save £280. Use our independent service, Which? Switch, to compare gas and electricity prices and find the best deal for you. Why is the energy price cap increasing? The level of the price cap is reviewed every six months, by the regulator Ofgem which sets it. Although it was introduced in January, it’s being reviewed already to coordinate with the timescales of the cap on prepayment meter tariffs which is already in place. Ofgem said that the price cap increase ‘reflect[s] a genuine increase in underlying energy costs’. It explained that wholesale energy costs are 17% higher than when the cap was originally set. 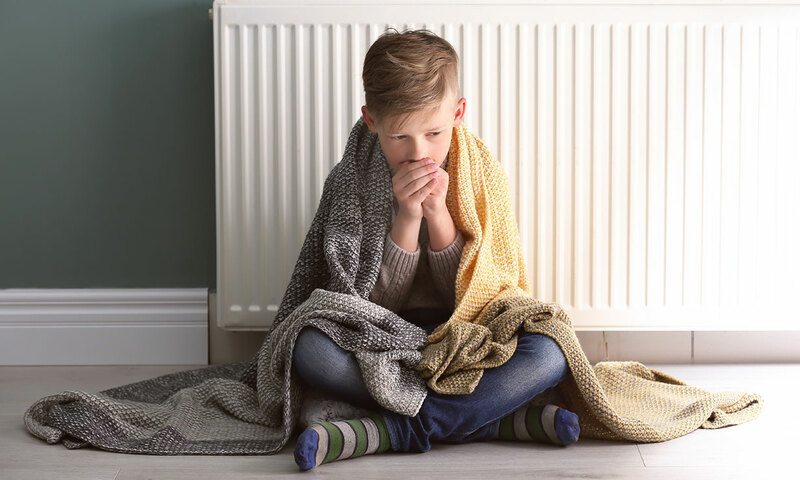 These make up a third of the cap and are caused by higher oil prices, higher demand for gas during 2018’s Beast from the East, and a higher price for electricity made from gas. It added that the cost of transporting power and gas to homes, and costs of social and environmental schemes have also risen. Ofgem also claims that without the price cap, customers could have been paying between £75 and £100 per year more, on average. Alex Neill, Which? managing director of home products and services, said: ‘This eye-watering increase to the price cap will be a shock to the system for people who thought that it would protect them from rising bills. British Gas is challenging the way the price cap was set via a judicial review. Separately, it said that the price cap would cost it £70m in the first three months of 2019. After April, the next time the price cap can change is October 2019. 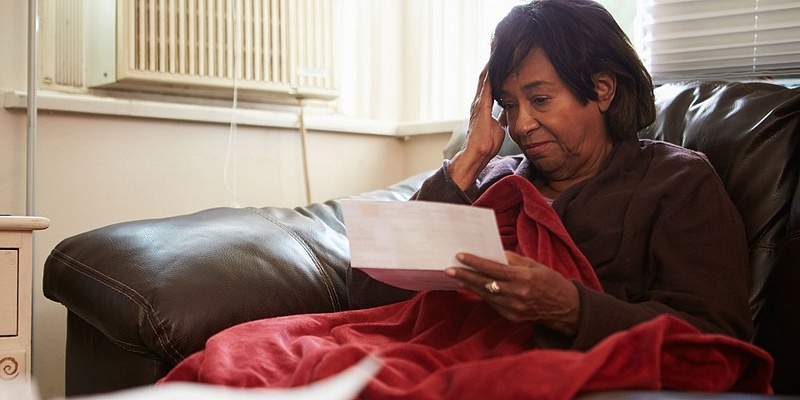 Will my energy bills increase? 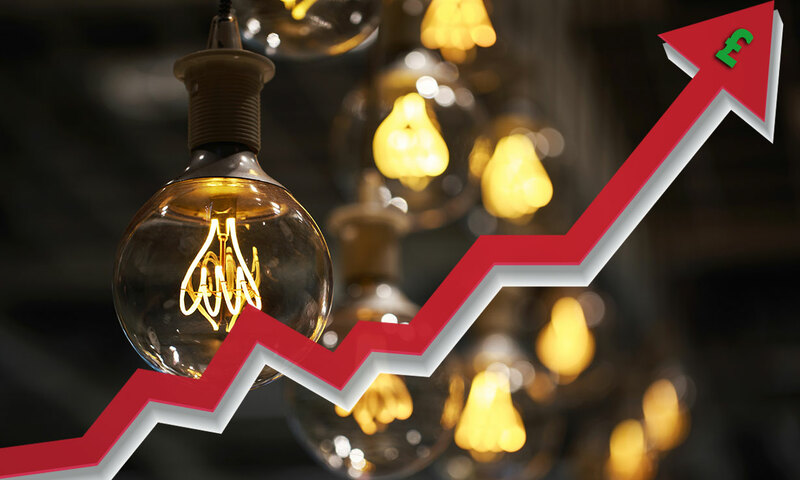 The price cap increase announced by energy regulator Ofgem means that companies can raise the prices for customers on their standard or default tariffs. But whether you will end up paying more in April depends on whether your energy company takes the opportunity to up its prices. If it does, it could cost you around £117 more per year, as a medium user. If you use a lot of energy, it’ll cost you more. Most of the biggest energy firms are currently charging close to the cap level, while the cheapest deals are disappearing. 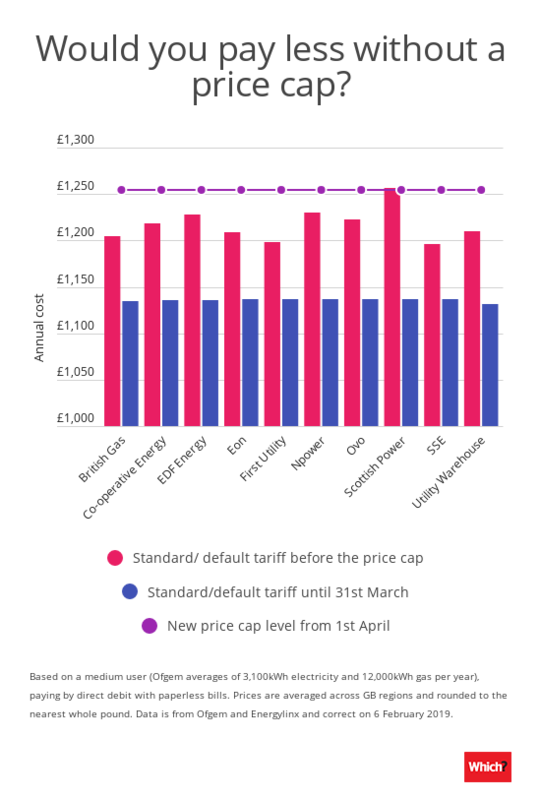 The graph below compares how much the biggest energy firms charged customers before the price cap, how much they charge under the current price cap and the level of the price cap in April. In January, the price cap cut the bills of 11 million customers by £76 per year on average – or up to £120 for those on the priciest standard tariffs. But the new price cap from April is higher than the pre-cap prices for all of the biggest energy firms apart from Scottish Power. It’s £58 more per year than then price paid by SSE standard-tariff customers before the cap. Scottish Power’s standard tariff was £3 pricier than the new cap for the average user per year. Your energy company must give you at least a 30-day notice period if it’s going to increase your prices. This gives you time to compare prices and switch to a cheaper deal. You won’t have to pay exit fees to leave a standard or default tariff. Find out how to switch energy company. Does the energy price cap apply to me? The price cap limits the amount customers on standard or default tariffs can be charged. It’s not a limit on your total bill. It sets a maximum on the daily rate (standing charge) and the amount charged per unit of gas and electricity. Your bill still depends on how much you use. You’re likely to be on a standard or default tariff if you have not switched energy company or tariff, or didn’t pick a new tariff when your fixed deal ended. It doesn’t apply to you if you’ve switched to a fixed-term tariff, for example via a price comparison website. But doing this is the best way to save money. You could save up to £163 per year by switching from a tariff at the level of the price cap to the cheapest deal on the market. If companies raise their prices in April, you could save £280. The price cap also doesn’t apply to the default tariffs of Ecotricity, Good Energy and Green Energy. This is because these firms proved that their tariffs support the generation or production of renewable electricity and gas to a greater extent than energy bought through subsidies, obligations or other industry rules. The cost of supplying energy for these tariffs is also ‘materially greater’ than the maximum charges the price cap permits, Ofgem said. If you you’re a pay-as-you-go energy customer, there is also a price cap limiting how much companies can charge for prepayment meter tariffs. This is also increasing, by £106 per year for an average user. This means you could pay £1,242 per year from April (slightly less than those who pay by direct debit) if your energy company raises its prices to the maximum level allowed under the cap. 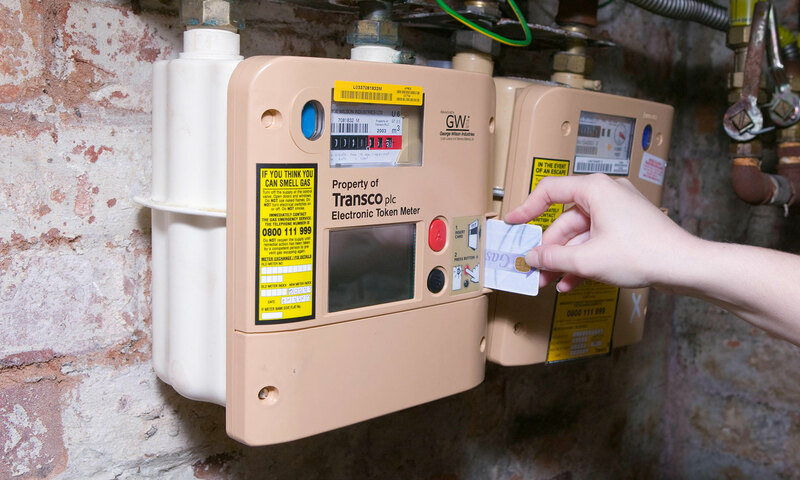 Find out if a prepayment energy meter is right for you. Prices are based on a dual-fuel tariff available in all regions in England, Scotland and Wales paying by monthly direct debit, with paperless bills. Energy usage is based on Ofgem’s annual average figures for a medium user (12,000kWh gas and 3,100kWh electricity). Data is from Energylinx. Prices given are averages across regions, are rounded to the nearest whole pound and correct on 6 February 2019.